Giveaway dose: Red And Black Affair ! So nice you met your friend, maintaining friendship is important. You look marvelous. 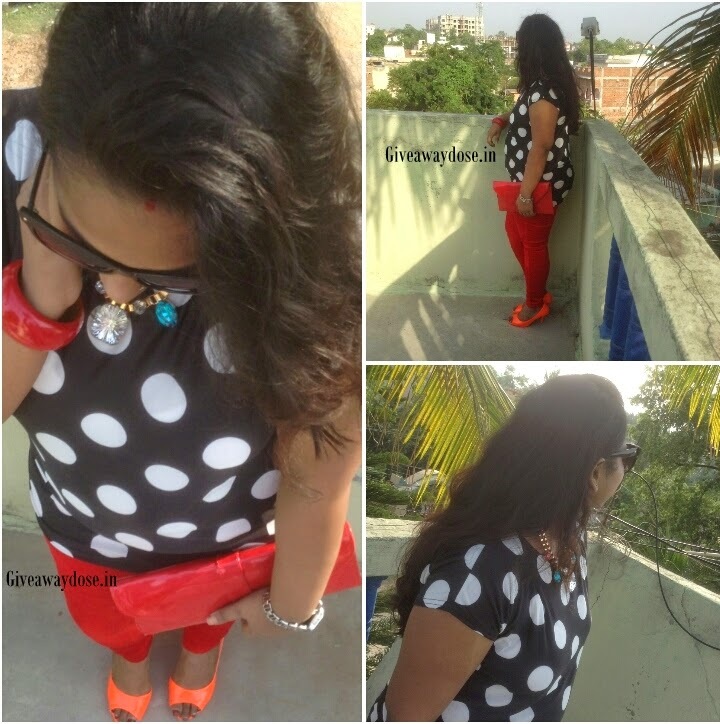 I really like the red pants, so well matched with doted blouse. Such a great combo. You can never go wrong with polka a dots.